Caregiver in Middletown NJ: What Are the Best Ways to Resolve Feelings of Guilt for Family Caregivers? What Are the Best Ways to Resolve Feelings of Guilt for Family Caregivers? Feeling guilt as a family caregiver can throw you off your game and cause you to overwork yourself. If you’re constantly thinking that you should be doing more, you’re not acknowledging all that you already do. Resolving those feelings of guilt are the best way to keep them from returning. The biggest step to take in getting rid of feelings of guilt is to acknowledge first that they’re there. This takes much of their power away because you’re confronting how you feel. The second part of this step is to figure out why you’re feeling guilty. Do you have your own health problems? Is there an unresolved issue between you and your loved one? Really dig to find the source of the feeling so that you can deal with it. One of the reasons that guilt is so dangerous is that it causes you to hyper focus on the details. That doesn’t do you any good because it’s too easy to get stuck down in those tiny details. Keep your focus instead on the big picture. Your loved one’s overall health and well-being are your true focus. For most family caregivers, taking time to themselves is the source of a great deal of guilty feelings. But if you want to truly work through them, you need the time and the space in which to do that effectively. Ask other family members or your loved one’s elderly care providers to take over for you while you do what you need to do for yourself. Another common reason that family caregivers can experience too much guilt can be that they’re mired down thinking about the many decisions that they have to make for their elderly loved one. Step back from overthinking and remind yourself that you’re doing the best you can with the information and the resources that you have. Then make the best decision that you can with your circumstances. 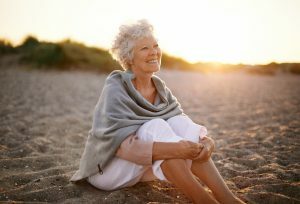 Many of the situations that you’ll encounter as a family caregiver require you to accept the situation for what it is. If the problems that you have regarding guilt revolve around the fact that you and your elderly loved one have some unresolved issues, you may have to accept that fact and move on. Accepting the reality doesn’t mean that will be the reality forever. You may have to go through this process more than once to tackle all of your guilt. If you or an aging loved one are considering caregiver services in Middletown, NJ, please contact the caring staff at Lares Home Care 1-800-781-7435 or 732-566-1112.